They're back, and they're taking Christmas 2012 by storm! 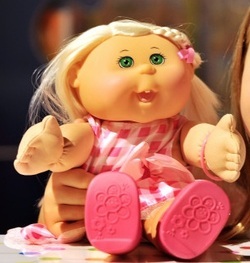 They're back, the squishy-faced dolls that had parents fighting in toy shop aisles in the 1980s are the latest retro toy to be reborn for Christmas 2012. Older than Furbys, younger than Barbie, these Cabbage Patch Kids are ready to party in the 21st century, with new fashions, looks and the must have for 2012, interactive play features. And don't think they'll just be on the shelves either. Based on the original Babyland Hospital in the USA, there are plans in place for 'birthing centres', where keen Kids fans can adopt their Kids as delivered by 'nurses'. So, as the saying goes, buy your Cabbage Patch Dolls early to avoid disappointment, as this Christmas it's all about retro toys, including the chattering Furby. Adopt your own Cabbage Patch Kid at Amazon.co.uk today! _Cabbage Patch Kids dolls started life as an art project by student Xavier Roberts, who discovered the traditional craft of 'needle molding' and adapted it to create model figures as sculpture. In the 1970s, he sold his 'Little People' for an 'adoption fee' across the US, before buying an old medical clinic in Georgia, naming it "Babyland General Hospital". Such was the popularity of the dolls that one even journeyed into space on the Space Shuttle in 1985. 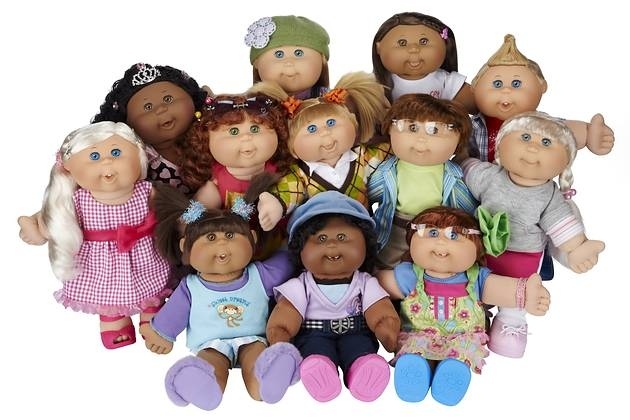 By 1990, 65 million Cabbage Patch Kids Toys had ben adopted worldwide, and in 1992 and 1996 the kids became the official mascot of the US Olympic Team. Despite their drop in popularity after the Millennium, dedicated members of the Collectors Club kept the brand alive, fed by new lines such as Lil Sprouts and Kids Babies. The production of Cabbage Patch Kids has passed between various toy manufacturers including Coleco, Mattel, Toys R Us, Play Along and Jakks. The story goes that Xavier Roberts first saw a strange flying animal that led him through a waterfall to a hidden cabbage patch. Here, flying Bunnybees sprinkled magic crystals on mother cabbages, from which the Cabbage Patch Kids sprung. The kids all want one thing, to be adopted into a loving home!